Data forms the backbone of any analysis that you do in Excel. And when it comes to data, there are tons of things that can go wrong – be it the structure, placement, formatting, extra spaces, and so on. 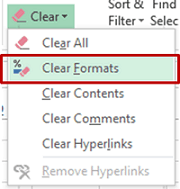 In this blog post, I will show you 10 simple ways to clean data in Excel. Extra spaces are painfully difficult to spot. While you may somehow spot the extra spaces between words or numbers, trailing spaces are not even visible. Here is a neat way to get rid of these extra spaces – Use TRIM Function. 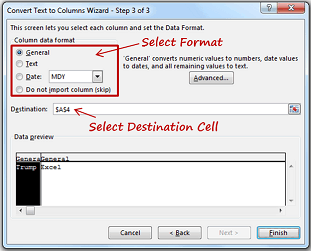 Excel TRIM function takes the cell reference (or text) as the input. It removes leading and trailing spaces as well as the additional spaces between words (except single spaces). Blank cells can create havoc if not treated beforehand. I often face issues with blank cells in a data set that is used to create reports/dashboards. You may want to fill all blank cells with ‘0’ or ‘Not Available’, or may simply want to highlight it. If there is a huge data set, doing this manually could take hours. Thankfully, there is a way you can select all the blank cells at once. This selects all the blank cells in your data set. If you want to enter 0 or Not Available in all these cells, just type it and press Control + Enter (remember if you press only enter, the value is inserted only in the active cell). Sometimes when you import data from text files or external databases, numbers get stored as text. Also, some people are in the habit of using an apostrophe (‘) before a number to make it text. This could create serious issues if you are using these cells in calculations. Here is a fool proof way to converts these numbers stored as text back into numbers. Click OK. This converts all the numbers in text format back to numbers. There is a lot more you can do with paste special operations options. 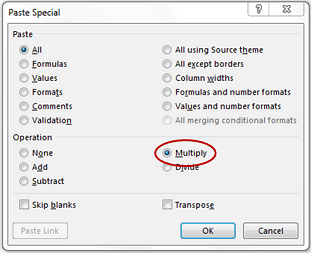 Here are various other ways to multiply in Excel using Paste Special. There can be 2 things you can do with duplicate data – Highlight It or Delete It. 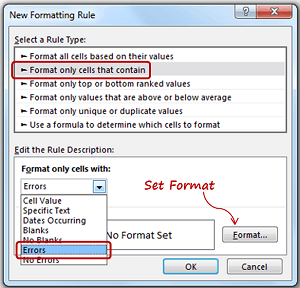 Select the data and Go to Home –> Conditional Formatting –> Highlight Cells Rules –> Duplicate Values. Specify the formatting and all the duplicate values get highlighted. 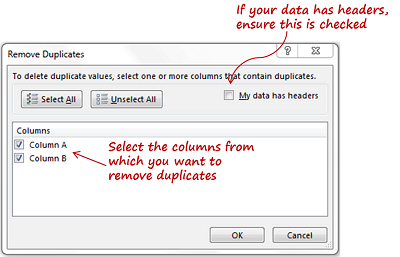 Select the data and Go to Data –> Remove Duplicates. This removes duplicate values from the list. If you want the original list intact, copy-paste the data at some other location and then do this. 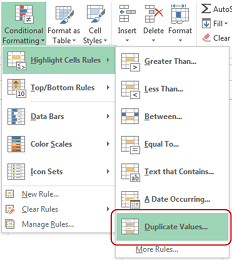 Related: The Ultimate Guide to Find and Remove Duplicates in Excel. 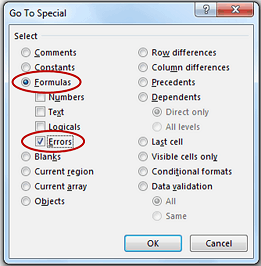 This selects all the cells that have an error in it. Now you can manually highlight these, delete it, or type anything into it. When you get data from a database or import it from a text file, it may happen that all the text is cramped in one cell. 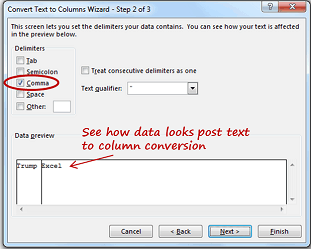 You can parse this text into multiple cells by using Text to Column functionality in Excel. Related: Extract username from email id using text to column. Nothing lowers the credibility of your work than a spelling mistake. 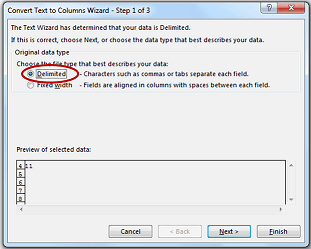 Use the keyboard shortcut F7 to run a spell check for your data set. 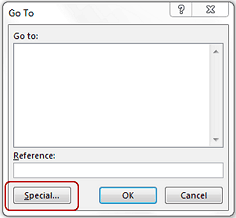 Here is a detailed tutorial on how to use Spell check in Excel. Similarly, you can also clear only the comments, hyperlinks, or content. Find and replace is indispensable when it comes to data cleansing. For example, you can select and remove all zeros, change references in formulas, find and change formatting, and so on. Read more about how Find and Replace can be used to clean data. These are my top 10 techniques to clean data in Excel. If you would like to learn some more techniques, here is a guide by the MS Excel team – Clean Data in Excel. If there are any more techniques that you use, do share with us in the comments section! Extremely useful. Thank you for the tips. I don’t know if I’m asking on the correct website or not, but here goes… I’m trying to upload an excel file to my website, normally the excel spreadsheet is in nice and neat columns, but the new spreadsheet I’ve been sent just seems to be a mess (Almost everything in under category A column). Is there a way to separate all columns from one column into several? Your mismanage emotions are 100%. The information here might have not help you, but help others. We the readers deserve respect. Avoid useless comments. Applying General formatting unhides most of the issues with incorect data types. 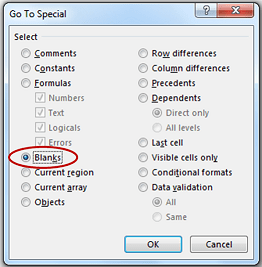 you select blank cell and use “Add” or “Subtract” methods. Thank you for this. Although I consider myself an advanced user I still learnt some useful tips in these 10. One question I have is how to quickly find and remove cells where users have merged cells. This can be so irritating when it stops you creating pivots or filters. I find your site one of the most useful and easiest to follow solutions to any problems. Thank you again. One thing I would mention is the removal of non-breaking spaces, symbolized as nbsp or character 160. These have caused me much grief. One thing I would mention is the removal of non-breaking spaces, symbolized as or &#160. These have caused me much grief. Fantastic! I can’t wait to get into work on Monday and try some of these babies out. Thanks for all the effort you put into this blog as a way to share your knowledge. I think it’s wonderful. The thing I love about the internet is people sharing their knowledges and passions. The two things I use the internet for the most is excel tips and Real Housewives (reality TV show!) recaps. Strange combination, I know. Thanks again. I love the passion and the knowledge that goes into your site. Number 11: Sometimes there are unprintable characters. Use Clean() to get rid of those. I like using it with TRIM, i.e. TRIM(CLEAN()) or CLEAN(TRIM()) work for me.